Listed as a World Heritage site, Pingyao, dates from the Ming and Qing Dynasties and is one of China's finest old cities. The tour package will ensure that you savor this historic place with its ancient city wall and unique Ming architecture to the full. The private Pingyao tours include travel to the Ming - Qing Street, the Chenghuang Temple, the Ri Sheng Chang Financial House, Wang Family's compound, Qiao Family's Compound, Shuanglin Monastery, etc. As the first banking centre, Pingyao is now the best wholly preserved old Chinese town with features of Ming and Qing dynasties. The imposing City Wall has well protected the city for centuries, thus the inner city streets, stores and courtyards remain as in a time capsule. Apart from the above spots, a private side trip to the Wang's Family compound should not be missed as it is the essence of Chinese folk culture. This 3 days’ private Pingyao tour will lead you to have a deep exploration in the historic and cultural Ancient City of Pingyao by visiting the Ancient Ming-Qing Street, Ancient Government Office, Security Guard Company, Rishengchang Exchange Shop as well as Pingyao City Wall. The Wang’s Compound will impress you for its grand scale and magnificent buildings. Besides, admiring gorgeous chromatic sculptures at Shuanglin Temple will add more value to your trip. This 4-day tour to Pingyao & Datong will take you to deeply immerse in the cultural atmosphere of Pingyao Ancient City. A visit to the Shuanglin Temple and Qiao Family Compound can be a highlight of this itinerary. 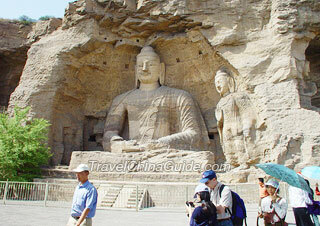 Besides, the Hanging Monastery, Yungang Grottoes as well as Huayan Monastery in Datong will leave you a wonderful memory. 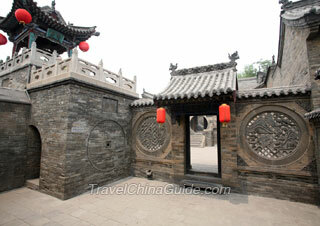 This private one day tour is a great choice for travelers who want to have a side trip outside of Pingyao Ancient City. You will spend around eight hours with your friendly private tour guide to learn the history of old architectures and Buddhist artistic sculptures by exploring the old Shuanglin Temple as well as impressive Wang Family's Compound and Zhangbi Ancient Fortress. Oh, two days are suggested, and you can stay for a night in the Ancient City. You may stay in the ancient city and visit the attractions inside for a day. For the other day, you can hire a car to Wang's Compound and Shuanglin Temple or Zhenguo Temple. I had a question though about the ancient city of pingyao. Is there a difference in time of week experience? Is it better to visit that during the week or weekend? I don't mind if it is less crowded or not, but I am interested in shopping there. So would there be more availably on the weekend or more vendors open or is there no real difference? 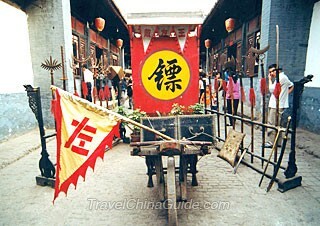 Actually, there is no difference in week days or weekends if you only concern shopping in Pingyao. 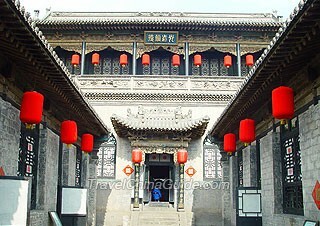 But visting Pingyao in week days is still recommended as you will get better and less crowded shopping surroundings. Is the Ming-Qing street the same as Nan Dajie? Is the Ming - Qing street the same as Nan Dajie in Pingyao? We read that the City Tower on Nan Dajie should also be visited, because of its views of the city. Yes, they are the same. As for the City Tower, it is closed now and visitors can not go inside as far as I know. The nicest courtyard hostels/hotels are a bit out of our price range. Is this a town where we can negotiate a better price in person, or will it be hard to find a room? Any suggestions? There is one location that says it caters to mainland citizens only. Is this very strict? We are a family of 5, on a low to medium budget staying Apr 17-18. The hotels in the new town is a little cheaper than that in the old town. Although those hotels are more suitable for Chinese travelers, they still welcome western visitors. You'd better to book the hotel in advance if you will travel during the holiday or weekends.